Norman DVD and Blu-ray release date was set for July 11, 2017 and available on Digital HD from Amazon Video and iTunes on July 11, 2017. 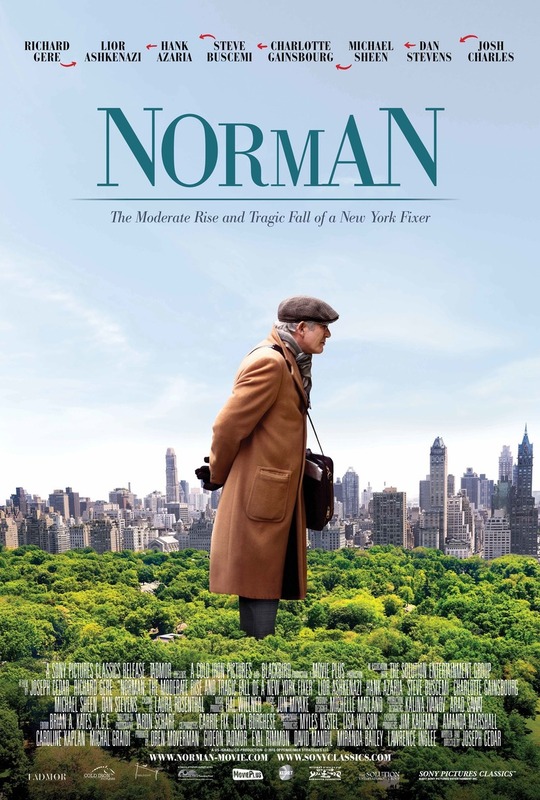 Norman Oppenheimer is a middle-aged man working in New York as a small-time hustler. Norman knows everyone, and everyone knows him. Generous by nature, Norman likes to help anyone he meets who is in need. Norman meets Micha Eshel, a low-ranking deputy minister, who gets elected as prime minister as Israel a few years afterward. Norman finally gains credibility among a circle of respectable, high-ranking Jewish politicians, only to find that his excessive favors land him in the middle of a major international political scandal riddling with back-stabbing opportunists he once thought of as friends.